When I think of a “winter wonderland” I think of blankets of pure white snow, and snow and ice sparkling in the sunlight. 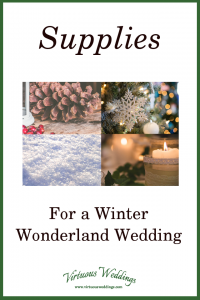 This post is full of plenty of snow, ice, sparkles, and light, but there are other things that go along with a winter wonderland too! 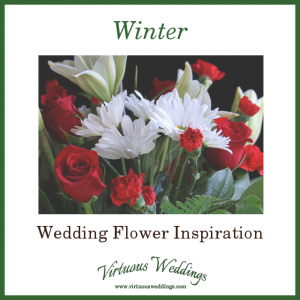 Planning a winter wedding ~ because you like winter, not because it’s your only option? 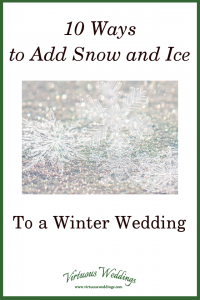 Here are ten ways to add snow and ice to your wedding decor! 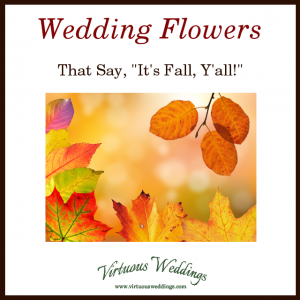 Looking for fall wedding flower choices that are super fall-ish? 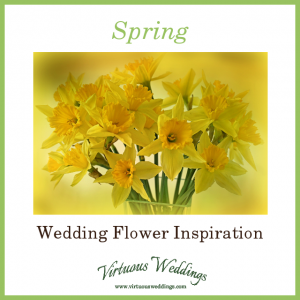 Start with these!